The process of hiring someone can be stressful. It is incredibly difficult to get to know a potential employee well enough to make a decision based on a short discussion. If a candidate is rejected, and he or she believes the reason was unfair discrimination, it can lead to a costly lawsuit. For this reason, it is best to avoid a number of topics of discussion. Any questions relating to a candidate’s race, religion, citizenship status, or nation of origin should be kept out. Asking an individual with a unique name about where he or she is from may seem innocuous, but it could lead to a complaint for discriminatory hiring practices. Similarly, asking where someone attends church may feel like simple small talk, but could be misconstrued as religious discrimination. The only topics that matter in a job interview are those related to the candidate’s ability to do the job. Questions related to the individual’s ability to work in the United States legally and whether or not the candidate possesses any language skills are permissible. Asking how old a candidate is can also be problematic. If an interviewer is concerned that a candidate is close to retirement, he or she can ask what the candidate’s long term career goals are instead. Personal questions about family and children are ill advised. Asking about whether a candidate is single can be misread as sexual harassment. Asking if a candidate is interested in starting a family or has any children can be understood as concern that the candidate will not be committed to his or her career. Many businesses reject candidates they fear would take time off to start a family, which is not a permissible hiring practice. Any questions about the candidate’s health or physical disabilities should be avoided. Questions about the candidate’s height, weight, use of sick days, and use of prescription drugs can be interpreted as a violation of the ADA. 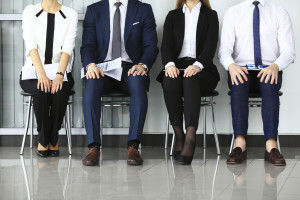 If they relate to the job, interviewers can ask candidates whether they take any illegal drugs (as opposed to any drugs), if they can lift a specific weight or reach a specific height, or how many work days he or she missed in the last year. As long as a candidate can perform the duties of a job with reasonable accommodation, the answer should not affect the hiring decision.